Hostal la Reyna i Arequipa, Peru: Reservér nu! 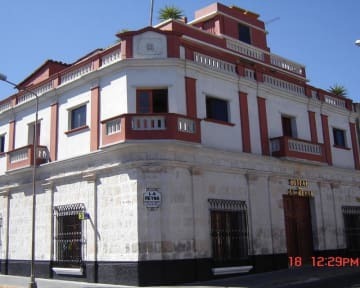 Hostal la Reyna is a family hostal located 3 blocks from the main square of Arequipa and in front of the monastery of Santa Catalina. This property is an old mansion considered part of the cultural heritage of Arequipa, made of white volcanic ashlar stone. This 5-storey house has terraces and balconies overlooking the entire city and surrounding mountains. Free Wi-Fi access is available and free breakfast is served daily at this property. This property is located in the historical centre, only 3 blocks from the main square and next to the Convent of Santa Catalina and next to a park where there is a museum and “Fundo de Fierro”, one block there are parking. The property is located in a privileged area, perfect for those who want to discover the richness of the city. 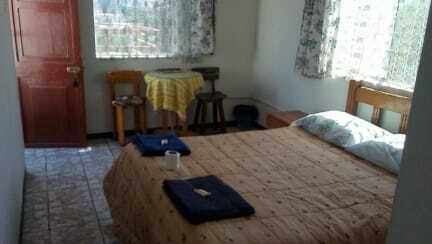 Hostal la Reyna offers a wide range of comfortable accommodation in a privileged location in Arequipa. The property has 1 double room, 6 double and 3 triples all with private bathroom, with hot water, night table, bedside table with chair, coat racks, towel, soap and toilet paper.